Farewell vSphere Data Protection - End of Availability. On April 5, VMware announced the end of vSphere Data Protection. vSphere 6.5 would be the last release to support VDP. Which means post this, you will need to migrate to third party backup.
" On April 5th, 2017, VMware announced the End of Availability (EOA) of the VMware vSphere Data Protection (VDP) product. VMware vSphere 6.5 is the last release to include vSphere Data Protection and future vSphere releases will no longer include this product. We have received feedback that customers are looking to consolidate their backup and recovery solutions in support of their overall software-defined data center (SDDC) efforts. As a result, we are focusing our investments on vSphere Storage APIs – Data Protection to further strengthen the vSphere backup partner ecosystem that provides you with a choice of solution providers. All existing vSphere Data Protection installations with active Support and Subscription (SnS) will continue to be supported until their End of General Support (EOGS) date. The EOGS dates for vSphere Data Protection are published on the VMware Lifecycle Product Matrix under the dates listed for different versions. After the EOA date, you can continue using your existing installations until your EOGS dates. VMware supports a wide ecosystem of backup solutions that integrate with vSphere and vCenter using vSphere Storage APIs – Data Protection framework. You can use any data protection products that are based on this framework. Beginning today, Dell EMC is offering you a complimentary migration to the more robust and scalable Dell EMC Avamar Virtual Edition. VMware vSphere Data Protection is based on Dell EMC Avamar Virtual Edition, a key solution for protecting and recovering workloads across the SDDC. To learn more about this offer please go to the Dell EMC website. 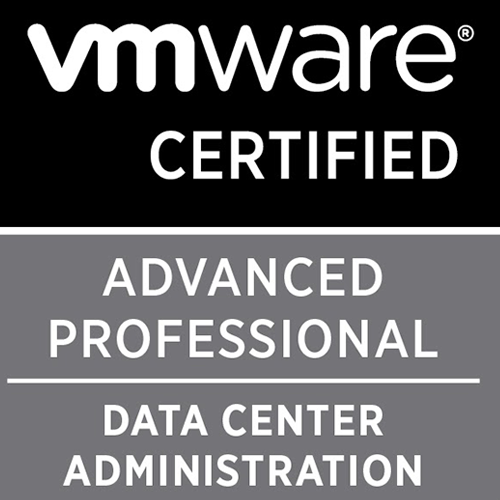 If you have additional questions please contact your VMware Sales Representative or read the FAQ document "
I will continue to post articles on VDP and answer your questions as long as I am supporting it. I will be exploring more into the vRealize Suite from today with vRealize Operations to begin with. Comment to leave your thoughts. Well, you never know what you got until it's gone. This is a very interesting post and I learned so much from your blog. Do posting more.